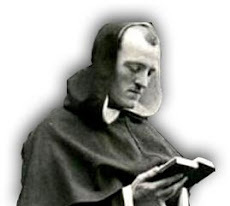 Those who advocate the Distributist model of Catholic economics are often criticized for having the audacity to suggest that there is something wrong with the scheme of liberal, industrial capitalism that began to develop in the West shortly before the so-called Reformation, and which blossomed after the French and Industrial Revolutions. Part of what exposes them to criticism from so-called "realistic," "practical," and "down-to-earth" minds is their unapologetic willingness to pass judgment on the modern economy based upon the quaint concepts of Reason, Revelation, and the Moral Law, rather than upon something "reliable" and "scientific" like charts, graphs, and statistics which allegedly reveal the workings of an economic law to which all of us are supposed to blindly submit. Various camps of the more-or-less "conservative" Catholic milieu have been recently attacking the Distributist vision. Why bother attempting to discredit something that cannot possibly gain and hold possession of modern minds? And if the amount of criticism directed at Belloc & Co. is any indication of Distributism's popularity, then we can safely say that it must be making some kind of comeback. Back in 1995, Fr. Richard John Neuhaus, in the April issue of his First Things, drew attention to the rather limited criticism of Distributism expressed by James K. Fitzpatrick.1 Fitzpatrick's criticism was not an attack on the intellectual rectitude of the Distributist position; he simply lamented that no one seemed to have a concrete, practical sense of how to implement it in the here and now. Fr. Neuhaus "elaborated" on Fitzpatricks's commentary by shifting the subject to a convenient and popular straw man: "It is a sloppy and widespread habit of mind," Neuhaus wrote, "that blames the failings of this or any other social order on 'capitalism.'" It would take several pages to explore all of the flaws in logic and common sense implicit in such a statement. Let it merely be said for the record, however, that "capitalism" is the social order of today; and-morally speaking-"capitalism" is a failure. This despite the fact that four years later, in the November issue, Fr. 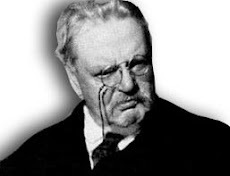 Neuhaus would suggest that modern capitalism has successfully incorporated much of what Chesterton was arguing for, and thus has become "notably distant from what Chesterton meant by the term." Of more recent interest is the attempt to further defend capitalism (a defense which implicitly dismisses Distributism as simply wrong, wholly impractical, or both) by demonstrating, in the words of a recent writer for The Latin Mass, that it has been defended by "the greatest minds of the Church." 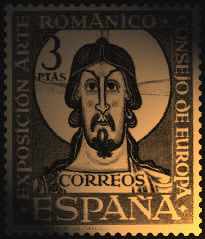 Part and parcel of this defense is the assertion that the Spanish Scholastics of the 16th century were in some way "proto-liberals," "proto-Austrians," or "proto-Libertarians," thus implying that the liberal school of "free-market economics" actually traces its roots to-and is thus an accurate development of-Catholic Doctrine. The subject of the alleged "proto-capitalism" of the Spanish Catholics is surprisingly popular, and has come up in a number of places over the last few years. In March of this year, at a Conference of the Ludwig von Mises Institute, an attack was launched on the Social Doctrine of the Church and an apologia issued for free competition and the "beautiful order and harmony created by the free market" with a presentation allegedly based on the so-called "proto-liberal" Spanish Scholastics. Dismissing the traditional teaching of the Church, which doctrine formed the root of the Distributist vision, the speaker suggested that the "moral injunctions that comprise Catholic social teaching are based, at root, on economic misconceptions and factual error." Such talk is simply following the lead of widely read columnists, such as Llewellyn H. Rockwell, Jr., a Catholic whose libertarian website is advertised as "the premier anti-state/pro-market site on the net." In a 1995 article 3 he argued that the Late Scholastics were the true founders of "free-market economics." And an article defending freely negotiated labor rates, allegedly based on the teachings of the Spanish Scholastics, even appeared last year in an Australian paper featured an article defending freely negotiated labor rates, basing its arguments (allegedly) on the teachings of the Spanish Scholastics, and implying that what is sneeringly termed "economic rationalism" by "progressive clerics" is actually solid, Catholic economic thought. Finally, in the pages of The Latin Mass magazine recently, a CEO of an investment firm launched a similar kind of attack, maintaining that Capitalism is the economic system that most conforms to the teaching of the Church, and condemning Belloc's own Distributist program as "inconsistent with the traditional teaching of the Church." The last of the orthodox Catholic political economists, such as Charles Devas and Fr. Matteo Liberatore, wrote literally hundreds of pages in what they both considered to be mere introductory textbooks on economic science. It would, therefore, be supreme folly to claim to attempt any kind of thorough treatment of the subject in an article such as this. Nevertheless, a very brief examination of some of the most recent criticisms of Belloc's vision may help to point the way towards a more accurate and orthodox understanding of the Church's position vis-a-vis economic life. If Belloc's alleged error is the death-knell of Distributism and the triumph of the "free market," it stands to reason that a vindication of Belloc's position is the condemnation of liberal capitalism and a rehabilitation of Distributism. Such a vindication, in the face of the most recent attacks on Belloc's position, is actually quite straightforward. This is so because these criticisms are based on what we may classify as two rather distinct kinds of erroneous observations; the first are attacks on Belloc's theory which are based on an incorrect or inaccurate representation of that theory, and the second are attacks on the Distributist vision which are themselves based on erroneous principles. The first of the recent arguments that can be classified as misrepresentations of Belloc's theory is the assertion that Distributism is a "new theory" to which the world was introduced by Belloc with the 1936 publication of Restoration of Property (see p.38). Actually, Belloc used the term Distributism in his 1924 Economics for Helen; and therein he places Distributism in historical context by admitting that "Distributism" is the rather awkward term coined to explain what had been, throughout the history of the civilized West, a common phenomenon: the existence of widely distributed productive property, in the form of land or a trade or craft and the tools that go with it, privately owned and worked by individual families for the provisions of their basic needs and necessities. In Restoration of Property he explains that the transformation of society into its present form, one in which the ownership of productive property is concentrated in relatively few hands, began with the religious revolution of the 16th century that had destroyed the ancient walls which had protected the freedom of the human city. The first great blow was the destruction of the Guilds, coupled with the seizure of collegiate property in all countries transformed by the Reformation, but most thoroughly and universally in England. This was followed up in England by a series of positive enactments of which that one called the Statute of Frauds was perhaps the chief instrument in destroying the English land-owning peasantry. The great efflorescence of Capitalism came after all that bad work had been done, and was only made possible by that bad work. Prior to the publication of Restoration of Property, in his 1925 pamphlet entitled "The Catholic Church and the Principle of Private Property," he makes reference to the need to remedy industrial Capitalism with the widespread distribution of property. Meanwhile, G.K. Chesterton had by then been making references to the need for a more widespread distribution of property for over 15 years. And in making such references, Belloc and Chesterton were simply following in the footsteps of the great Catholics of the Catholic Social Movement 6 and of Pope Leo XIII who, in Rerum Novarum (1891), hoped that there would come a time when working people could "look forward to obtaining a share in the land". The above should be alone sufficient to refute the notion that Distributism is "inconsistent with the traditional teaching of the Church." But let's continue our look at the specific arguments. Recent critics object to the way in which Belloc defines Capitalism, as "a state of society in which a minority control the means of production, leaving the mass of the citizens dispossessed." When Belloc says that the mass of citizens are dispossesed, he is simply referring to the fact that most citizens sustain themselves based not upon their own labor applied to what they themselves own, but rather upon what they can earn in terms of wages, by hiring themselves out to work on another's capital. This definition, which has been called "simplistic" in a Catholic magazine recently, happens also to be that of Pius XI: "that economic system, wherein, generally, some provide capital while others provide labor for a joint economic activity." It is then suggested that the Distributist scheme would make it impossible for "any one individual to have much more than any other." This is simply false. Were Distributism a revolutionary "leveling" and a socialistic denial of inequality, it would be justly deserving of blame. But the persuasiveness of this critique is based not upon Belloc's position as it actually is, but upon his position as it is represented by his critics, who no doubt take unfair advantage of the fact that most of us do not have handy a copy of the actual text of Restoration of Property. A look at the text, however, dispels the myth that Distributism is an egalitarian, revolutionary, and quasi-socialist scheme. It cannot be too much repeated and insisted upon that the ideal of property does not comport equality in property-that mechanical ideal is contradictory of the personal quality attaching to property. It is not a bad but a good thing that rents, the dwelling house, the income from investment, and the rest, should be upon various scales, for such variety corresponds to the complex reality of human society. Secondly, Belloc desires not to equalize wealth, but to protect the small farmer, the family landowner, the small craftsman, and the small retail trader. He thus advocates a scheme of "Differential Taxation 1) against chain stores; 2) against multiple shops; 3) against large retail turnover," in order to do just that. In no wise does Belloc propose (nor would his scheme produce) a system which would make it impossible for "any one individual to have much more than any other." In assuming that this is the case, Belloc's critics confuse the issue between wealth used for production (capital, such as financial or that in land, tools, machinery, etc.] and wealth which is immediately consumed in meeting the needs of human life. If a man, by his initiative, ingenuity, or pure luck, is able to have a business that is more successful than the next, nothing will prevent him from enjoying the added benefits of his effort or good fortune, insofar as those benefits are reflected in increased profits, higher personal income, and more loyal patrons-which will ultimately procure for him more land, a nicer home, better food, more ample furnishings, etc. But the employment of that increased wealth in expanding, Wal-Mart style, to the point where the same wealth is being used to shut down the independent enterprises, making them dependent upon him or eliminating them completely-such a course would be discouraged by Belloc's scheme of taxation. Belloc's program is not a radical redistribution of wealth "rivaled only by Karl Marx and Leon Trotsky," as has been scandalously asserted. It is not a limit on natural inequalities, but a limit on unnatural concentration. 1) The tradition of the Church has always been to support widely distributed property, and there is no reason to suspect that the Spanish Scholastics would have opposed the taking of measures to safeguard or restore that distribution. Those measures are in no way "confiscatory," as a recent critic claimed. Belloc himself condemns excessive taxation. 2) As we will see later on, the Church, in her magisterial teaching, has always granted to the state the power to regulate private property, and to take necessary steps to ensure that it is defended. High taxation is incompatible with the general institution of property. The one kills the other. Where property is well distributed resistance to big taxation is so fierce and efficacious that big taxation breaks down. 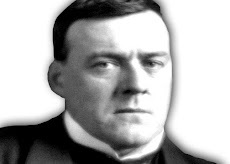 Recent critics have elsewhere accused Belloc of advocating Socialism, by referring to a statement which reads as follows: "State ownership is better, of course, than ownership by a few very rich individuals." But this criticism is based upon two very serious errors: 1) Belloc's comment is taken grossly out of context, and 2) the rest of Belloc's writing (both the text of Restoration and his other works) must be ignored in order to make this point. In those cases where the instrument is necessarily very expensive we may, as I have said, adopt one of two methods: we may either promote the ownership of it into shares, the proper division of which and the saving of which from irresponsible control will be later discussed; or we may accept the principle of communal ownership, whether by a Guild or by the State, but under the general proviso that ownership by the State is better avoided where possible, because the private citizen has no control over the State as he has over the Guild. State ownership is better, of course, than ownership by a few very rich individuals, or even the ownership by many small shareholders who are at the mercy of a few rich ones, as they are under our English company law, but there is always the danger in State ownership that the men who work for the State-owned instrument will turn, if they are not turned already, into wage slaves, without other support than the weekly provision made for them by their master-the State. It is clear Belloc is not an advocate of Socialism. The short-cut to the relief of humanity from Industrial Capitalism is Socialism, that is, the denial of Private Property, especially in the means of production. So the short-cut out of the horrors of a false religion (especially if it be a cruel and base religion such as Puritanism) is materialism. So the short-cut out of an unhappy marriage is divorce. So the short-cut out of an unhappy life is suicide. Critics also maintain that Belloc's vision would dictate that society consist of "millions of family businesses," and that his plan calls for a "redistribution of the means of production" which ignores the fact that not everyone alike possesses the same initiative and entrepreneurial skill. To so suggest is to miss the essential point. As we have noted above, Belloc is not calling for some radical scheme of leveling, some smashing of factory equipment and handing out of corporate infrastructure to impoverished families in depressed economic areas. Nor does he deny, as some have implied, that managers and leaders of enterprises which require above-average skill, effort, and energy are entitled to a larger income; such a notion remains merely a question of wages that are tailored to compensate for a given amount of more-or-less complex and difficult labor. This has little to do with an examination of how productive property may be better distributed. It is obvious (certainly to Belloc) that higher wages are justly paid for more complicated, more demanding, or more risky work. As a Distributist, however, Belloc is addressing himself to the problem of the common lot of men, which is to work for someone else for a wage, rather than for themselves for their sustenance. He is addressing the problem which Pius XII called "economic dependence and slavery." He is calling, primarily and principally, for the defense, the support, and the restoration of the craftsman, the small farmer, the small retailer. He is calling for what numerous Americans casually yet frequently hope for as consumers: a local coffee shop, as opposed to a Starbuck's; a family general store, rather than a 7-11; a personal hardware store, rather than Home Depot. And he is calling for what they should wish for as producers: the ability to depend upon themselves, their own capital, and their local community for their livelihood, and not solely upon their employers or the state. In Belloc's defense, he does in fact reserve several pages for the treatment of how to handle large enterprises, which, by their very nature, would require both large amounts of capital and the direction of capable men. But his vision of how those capable men manage their respective industries is at issue, not what kind of wage they should receive for their trouble. His vision is a Catholic vision, not a social-Darwinist vision. Those large operations, he maintains, following the teaching of Leo XIII, Pius XI, and Pius XII, must be run in a manner consistent with the common good, and must serve the community by producing necessary commodities, in exchange for a fair profit, while at the same time respecting the proper economic order, which the Church has declared to be a wide distribution of productive property helping to constitute families in a requisite degree of economic freedom and security. From a Catholic standpoint there is no degree of "business savvy," "entrepreneurial vision," or "economic initiative" that gives a man who runs a huge corporation the right to eliminate another small business, bearing in mind that such a business may be the means whereby one or several men, as business owners, support their families without being forced necessarily to work for someone else in exchange for a wage. In suggesting that "not everyone is capable of turning raw materials into actual products," certain critics must obviously imagine that Belloc's scheme applies exclusively to the question of who owns and manages factories, industry, and large-scale corporate life (which it does not), rather than how those operations are managed and how characteristic they are of society (in comparison with the prevalence of smaller, local, more personal economic activities). Furthermore, these same critics must be at a loss to explain how it is that Western Europeans, before the great age of industry and business conglomeration, managed to feed and clothe themselves, unable as the mass of them were to "turn raw materials into actual products." It is unfortunate that not everyone has a copy of Hilaire Belloc's book, The Restoration of Property because it is impossible in the short space of this article to accurately detail what kind of scheme he proposes. He proposes to defend the small landowner, the family farmer, the small craftsman, the small retailer, from being eaten up by the larger. What he is proposing is the checking of competition to the extent necessary to reverse the current trend: the tendency under a regime of free competition-a tendency which cannot honestly be denied-towards the growth of bigger and bigger economic enterprises at the expense of the smaller ones. Such a proposal by no means implies a stifling restriction on the use of property. Such a restriction does not even imply a limit on the amount of money that one can make through the enterprises and means of production that one already possesses. What it does imply is a restriction of the ability of a businessman to employ amassed wealth in an effort to eliminate his competitors, through outright purchase, or through "free market" competition. Such a businessman is discouraged under Distributism from transforming, without their truly free consent, his neighbors into his employees. This concentration of power and might, the characteristic mark, as it were, of contemporary economic life, is the fruit that the unlimited freedom of struggle among competitors has of its own nature produced, which lets only the strongest survive; and this is often the same as saying, those who fight the most violently, those who gave least heed to their conscience. Just as the unity of human society cannot be founded on an opposition of classes, so also the right ordering of economic life cannot be left to a free competition of forces. For from this source, as from a poisoned spring, have originated and spread all the errors of individualist economic teaching. Destroying through forgetfulness or ignorance the social and moral character of economic life, it held that economic life must be considered and treated altogether free and independent of public authority, because in the market, i.e., in the free struggle of competitors, it would have a principle of self-direction which governs it much more perfectly than would the intervention of any created intellect. But free competition, while justified and certainly useful provided it is kept within certain limits, clearly cannot direct economic life-a truth which the outcome of application in practice of the tenets of this evil individualist spirit has more than sufficiently demonstrated. And Pope Pius XII observed that "the demands of competition, which is a normal consequence of human liberty and ingenuity, cannot be the final norm for economics." The dignity of the human person...requires normally as a natural foundation of life the right to the use of the goods of the earth. To this right corresponds the fundamental obligation to grant private ownership of property, if possible, to all...; and...legislation...must prevent the worker, who is or will be a father of a family, from being condemned to an economic dependence and slavery which is irreconcilable with his rights as a person. Whether this slavery arises from the exploitation of private capital or from the power of the state, the result is the same. It follows from what We have termed the individual and at the same time social character of ownership, that men must consider in this matter not only their own advantage but also the common good. To define these duties in detail when necessity requires and the natural law has not done so is the function of those in charge of the State. Therefore, public authority, under the guiding light always of the natural and divine law, can determine more accurately upon consideration of the true requirements of the common good, what is permitted and what is not permitted to owners in the use of their property. The first problem with such a position is that no where does Distributism condense its scheme to such a neat and tidy proposition. Distributism seeks to protect the small economic enterprise from ruin at the hands of the larger ones. Its purpose is not to restrict the amount of wealth that one can possess, but rather the amount of productive property one can employ when that employment directly affects the ability of the smaller operation to survive. It is crucial to bear in mind the distinction between the simple possession of property and its use in the public sphere. A second distinction that is ignored at our peril is the one between wealth for consumption, such as food, clothing, luxuries, and "capital" (generally speaking) destined for personal use (such as land, automobiles, etc., which are not rented but used), and the wealth of capital (strictly speaking), which is employed in order to produce more wealth and generate income. It is the "wealth of capital" that is used by the great corporations to "get ahead" and smash the small businessman; it is the "wealth of capital" that must be regulated if a widespread distribution of ownership of income-generating property is to survive. No one is suggesting that it is sinful to be rich in itself (though it may be noted in passing that, compared to warnings and condemnations, praise of the rich is rather scanty in both Scripture and the writings of theologians). What Distributism condemns is a use-intentional or otherwise-of riches which deprives smaller property-owners of their ability to generate income without having to work for a wage. Without understanding this distinction, we would be at a loss to know why Popes Leo XIII and Pius XI (to name just two) denounced so vehemently the "immense power and despotic economic dictatorship [that] is consolidated in the hands of a few." That a man may lead a good life, two things are required. The chief requisite is virtuous action....The other requisite, which is secondary and quasi-instrumental in character, is a sufficiency of material goods, the use of which is necessary for virtuous action. [This] gain which is the end of trading, though not implying, by its nature, anything virtuous or necessary, does not, in itself, connote anything sinful or contrary to virtue: wherefore nothing prevents gain from being directed to some necessary or even virtuous end, and thus trading becomes lawful. Thus, for instance, a man may intend the moderate gain which he seeks to acquire by trading for the upkeep of his household, or for the assistance of the needy: or again, a man may take to trade for some public advantage, for instance, lest his country lack the necessaries of life, and seek gain, not as an end, but as payment for his labor. No doubt the determination of what is necessary and what is excessive in the upkeep of a household is largely a matter of prudence. No doubt that many Catholics are satisfied with a reasonable wage, which they then employ in the upkeep of their households. But the legitimate increase in income and property which results from the practice of an honest trade is not what Distributism seeks to limit. Rather it is the massive concentration of capital and financial wealth that results from unrestricted economic competition which Distributism seeks to manage. It is the personal craft, the independent retailer, and the homestead which Distributism seeks to defend by placing Home Depot, Wal-Mart, and agri-business, et al., under reasonable economic control. If such controls militate against the "profit motive" of modern economic man, then perhaps economic man must re-evaluate his motives in light of the teaching of the Church. The essence of the Social Doctrine is that society is a means to an end. The duty of the State is to protect and foster the moral and material goods of this life (which collectively are known as the "temporal common good") in service of the ultimate end-the eternal salvation of men. As a result, every law, custom, and ordinance of the earthly community is salutary insofar as it makes man's journey to heaven easier, and is disordered whenever it makes that journey more difficult. "The art of amassing wealth," says St. Thomas Aquinas, "which is solely concerned with money, is infinite." Where that art is pursued for its own sake, where it is governed by a "profit motive" which possesses no built-in limit but is rather an end unto itself, it leads simply and directly to yet further desire for wealth: "Hence he that desires riches, may desire to be rich, not up to a certain limit, but to be simply as rich as possible." The incarnation of that mentality is the modern economic system which not only encourages in its philosophy the unlimited acquisition of wealth, but sanctions in its practice an expanding field of ownership by a few at the expense of widespread and distributed ownership by many. It is this scheme of things that Distributism opposes and for which it offers a remedy, that by the restoration of property to the non-owning masses it might also effect a restoration of economic life in its proper place, subordinate to the real needs of man and to the just decrees of God.